Features a 63cm poly telescopic wand for extended reach. 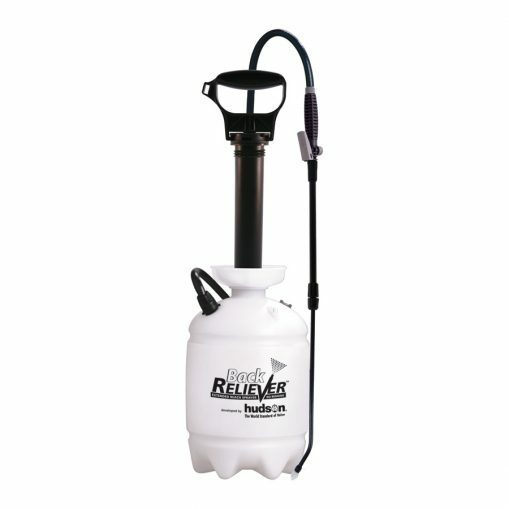 Innovative pump handle extends to comfortable height during pressurization. 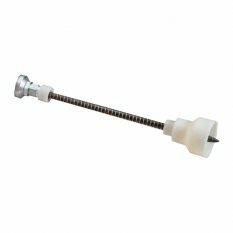 Manual pressure relief valve for safe release of pressure. Poly thumb-operated control valve (TOV™) with an in-line filter. 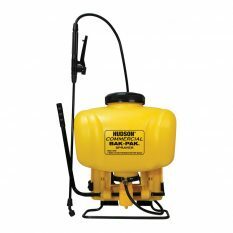 The Hudson Back Reliever Sprayer has a powerful top-mounted high-performance pump to minimize the need for bending to pump and pressurize your sprayer. 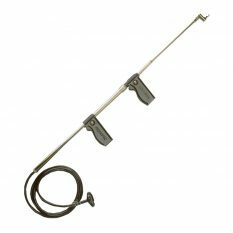 The product also features an extendible poly wand with a comfortable thumb-operated valve and pressure relief valve. 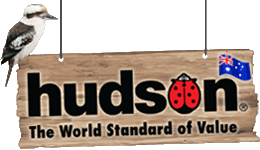 With an 8-litre capacity, the Hudson Back Reliever Sprayer makes applying herbicides or pesticides easier for gardeners of all ages. Three-year warranty. 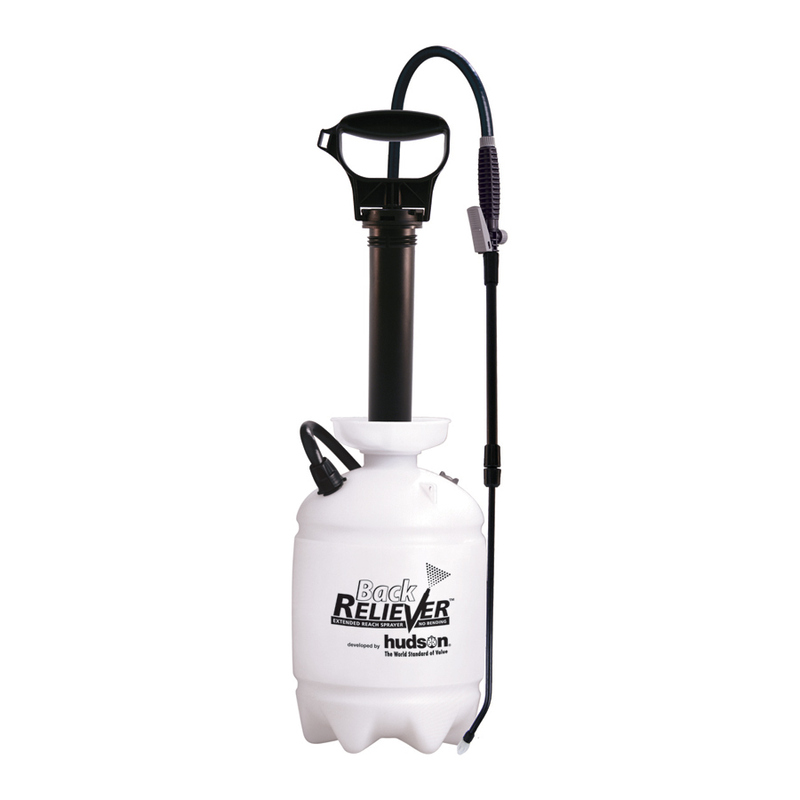 Be the first to review “Back Reliever Sprayer 8L” Click here to cancel reply.